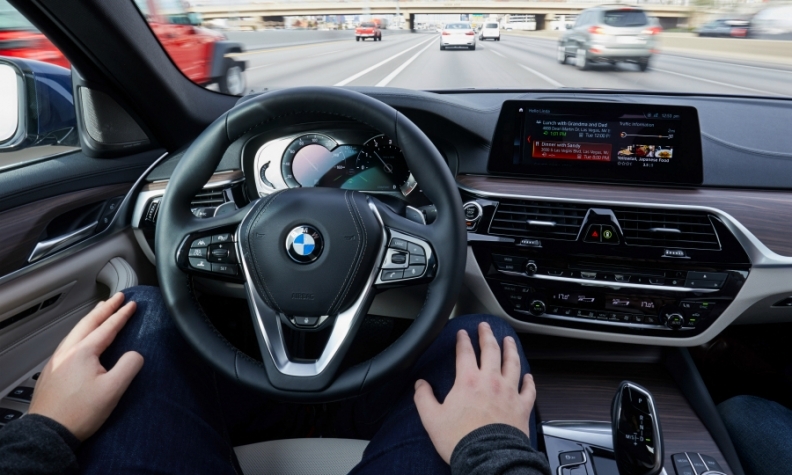 Automakers such as BMW are spending heavily to fund self-driving technology. DETROIT -- The race to produce the first autonomous car will be a process of elimination, with more than 50 major competitors spending billions of dollars, only for the field to be reduced to a handful of winners over the next decade, according to a new study by consultant AlixPartners LLP. "You've got 50 major players trying to develop autonomous software and you'll probably get three or four of them who will win," John Hoffecker, global vice chairman of the organization, said in a speech Tuesday to the Automotive Press Association in Detroit. "There will be billions and billions of dollars lost in bets that were put in the wrong place." Traditional automakers face a daunting task taking on tech giants such as Alphabet and Apple, who have deeper pockets and generate much more cash to fund the development of driverless cars. Car companies ranging from General Motors Co. to Daimler and Volvo are promising to have fully-loaded self-driving vehicles on the road within four years. The companies are all racing to be first so they can set the standard for autonomous automobiles much like Tesla has established itself as the premier name in electric cars. Those who lose out won't die off, especially the established car companies, Hoffecker said. But they'll be racing to catch up in self-driving technology after having invested a lot of cash in the race to be first and likely will have to buy technology from the winners, he said. "Whoever can get to autonomous first," Hoffecker said, "will have a major advantage." Last year alone, 195 partnerships were formed to create autonomous, connected, shared and electric vehicles, Hoffecker said. More than 200 players have come from outside the auto industry to get in the game, many from Silicon Valley. Projecting autonomous-vehicle winners now is nearly impossible, AlixPartners argues, because so much will change over the next eight years as self-driving cars arrive and EVs become more prevalent. By 2025, the cost to produce a self-driving car will drop 78 percent and battery-powered vehicles will achieve price parity with the traditional internal combustion engine, the consultant estimated. "There are going to be major changes in who is on top and who is not on top, overnight," Hoffecker said. "The number of people who will succeed in autonomous in the future is going to be a handful. So, you're going to find 90 percent of the investments, where people are spending tens and hundreds of millions-plus, will be completely thrown away."